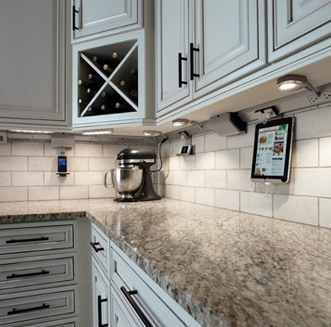 It’s time to start including technology into your clients cabinetry and furniture. 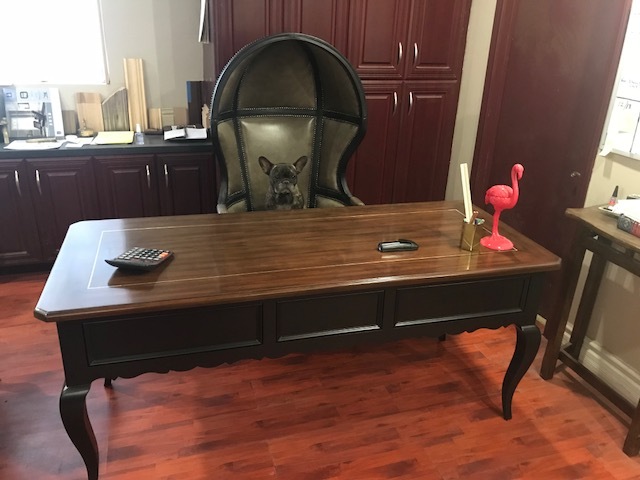 Starting with our own desks in our offices, we have been adapting them with new technology, Kingsley is very excited about this, as you can see. But with the amount of use of hand held devices in your Clients homes, and not just one for each member of the household, but often times there can be 2-3, technology should be an automatic part of their cabinetry and smart furniture. Placing charging stations in cabinetry around the house is a great way to keep cords and wires hidden. It’s another great way to not loose your hand helds if there are 2 or 3 central charging stations. 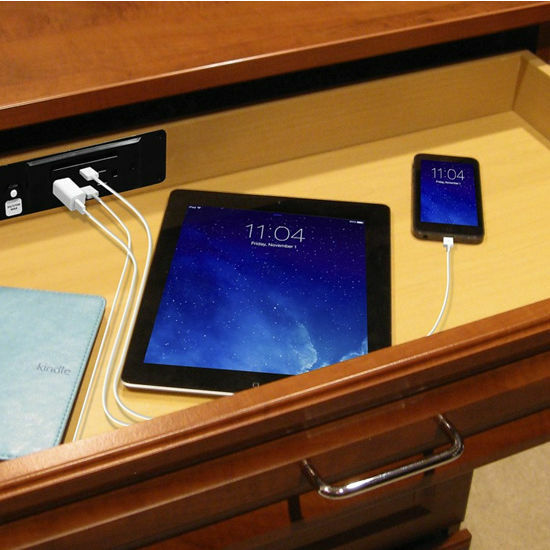 For the Bedroom, Office, or even the Kitchen, charging stations can be placed in a drawer like the above image we use in our cabinets. You can add a light in a night stand drawer that turns on in the middle of the night when the drawer is opened is essential and sets our cabinetry and furniture apart. Another great tech addition is the Legrand Adorne Under Mount module system. We place this under kitchen cabinets, bars, and bookcases to charge hand helds or to add lighting. We create a box in the drawer to intall the docking station. Light is mounted on the inside of the drawer face and when the drawer is open the light turns on and shuts off when closed. Let us get started on a bid for your newest smart cabinetry. We are here to help you with any cabinetry needs. Showroom samples available for immediate delivery.